If you remember film cameras then you probably remember “Kodak Moments”. These were the moments that were so special that we recorded them on Kodak film, or at least that’s what the company wanted us to use. I always preferred Agfa Professional but I digress; sorry. Have you ever had a moment when you felt that you and your life had been touched by the finger of God? Most of life seems to be a pretty mundane struggle. My ten-year-old son recently observed, “Dad, you get up in the morning, go to work, come home, eat, help me with my homework, talk to mom, read me a story and then read your Bible. Every day is the same. Is that what will happen to me when I grow up? I don’t want to grow up!” My life really isn’t that mundane but it must seem so to my ten-year-old son. However, once in a while something miraculous happens and for a moment we feel the Divine in our lives. Those are the Kodak moments. You can’t take a picture of them, but please, cherish and remember them. 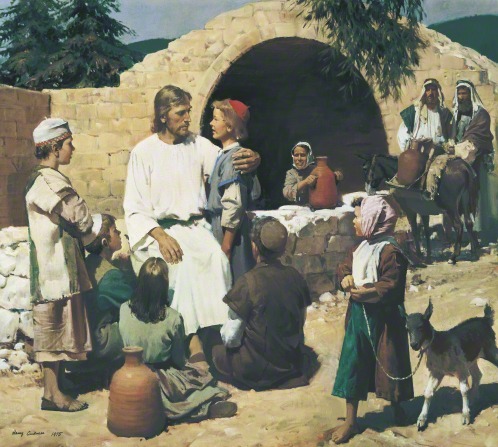 Cling to them so when life does get mundane, monotonous, or down right hard you can remember who you really are; a daughter or son of God and that His love has touched you. St. Brendan’s Celtic Christian Monastery is a non-denominational, online monastery without wall that accepts Christians, female and male, of all religious traditions who are on a contemplative path to God into the order. To learn more about Our Monastery please visit us. As I was kayaking this past weekend my thoughts turned to St. Brendan as his epic journey from Ireland, to the New Word, and back again. 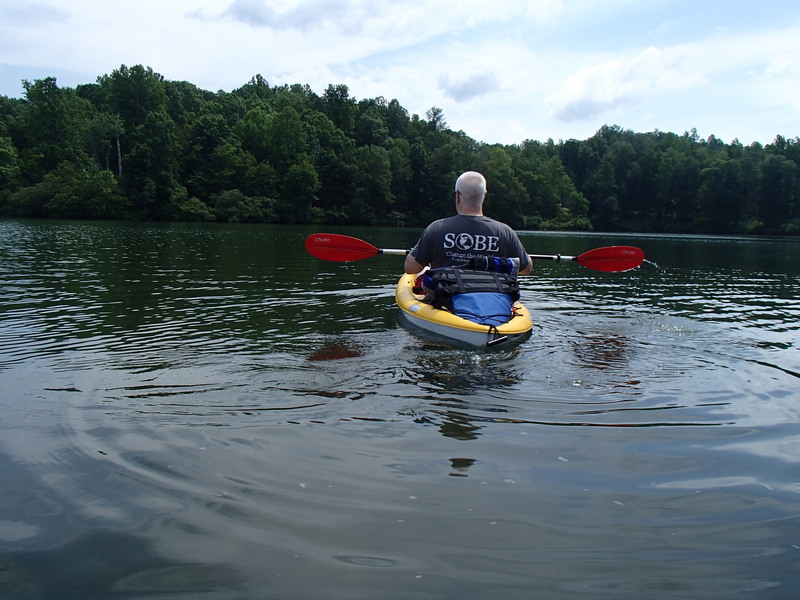 I spent about three hours navigating a lake in Central Virginia. St. Brendan spent much longer in the North Atlantic. I was always in sight of shore, he was not. I with my high-tech kayak, he most likely in a hand-made currach. We really didn’t have much in common; just one thing, our trust in the Lord. One of my son’s is a sprinter in high school. 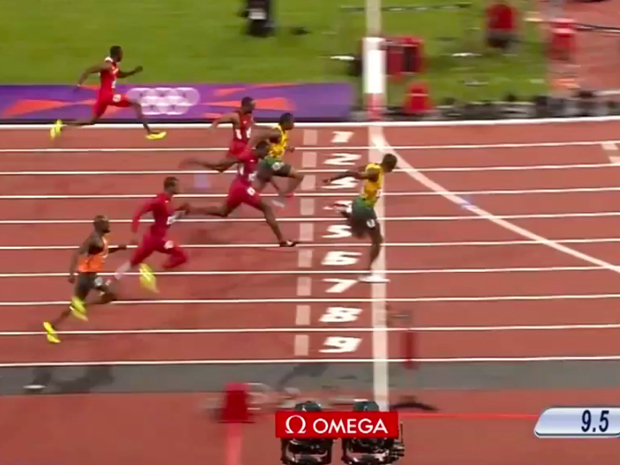 His coach reminds the sprinters from time-to-time that the race starts when they explode off the blocks, but that’s not where the race ends. They have to “put out” all the way to the finish line. In fact, he wants them to save some “kick” for the finish line. You know, lean in and push even harder as you cross the line. 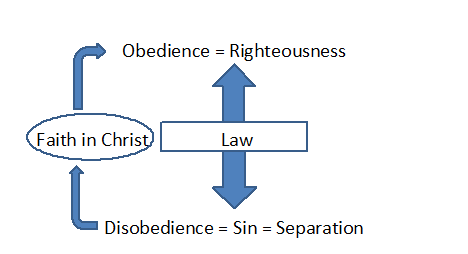 In 1 John 3:4 we read the definition of sin: “Whosoever committeth sin transgresseth also the law: for sin is the transgression of the law.” For there to be sin there must be a law as shown in the diagram below. The result of sin is death, “For the wages of sin is death. . . “ (Romans 6:23, KJV) and death, eternal death, is separation from God. This is the state, before Christ’s atoning sacrifice that we are all found it because as in Romans 3:23, “For all have sinned, and come short of the glory of God” (KJV). However, because of Christ’s atoning sacrifice we are justified. Justification in God’s court on high is the legal act of declaring that one is righteous, not free from sin, not changed into a perfect, sinless being, but righteous. 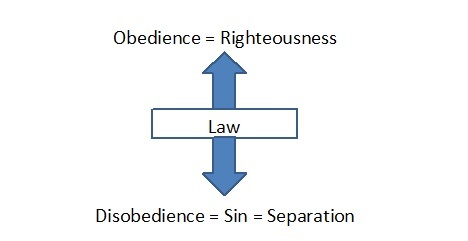 Christ’s righteousness is imputed onto the sinner. We see this in Philippians 3:8-9, “. . . so that I may gain Christ, 9and may be found in Him, not having a righteousness of my own derived from the Law, but that which is through faith in Christ, the righteousness which comes from God on the basis of faith,”. This process of justification is illustrated in the following diagram. However, justification is not automatic and not all are justified. Justification flows from or is a product of our faith. This is probably most obvious in Galatians 2:16, “Knowing that a man is not justified by the works of the law, but by the faith of Jesus Christ, even we have believed in Jesus Christ, that we might be justified by the faith of Christ, and not by the works of the law: for by the works of the law shall no flesh be justified.” (KJV). Notice in my diagram above, justification is way around the law. Romans 5:1-2 teaches us the same, “ 1Therefore, having been justified by faith, we have peace with God through our Lord Jesus Christ, 2through whom also we have obtained our introduction by faith into this grace in which we stand; and we exult in hope of the glory of God.” (NIV, emphasis added). By now I hope you are wondering what all of this has to do with my son, the sprinter. Exploding off the blocks is the beginning of the race. For us having faith and then witnessing that faith through baptism is the same. I’m afraid the too many Christians don’t understand the difference between justification and sanctification my two “ions” and fall into the trap of thinking that the race is over when the confess Christ, when the race has really just begun. Take a look at 1 Corinthians 9:27, “But I keep under my body, and bring it into subjection: lest that by any means, when I have preached to others, I myself should be a castaway.” (KJV). What’s up with Paul? He has been preaching faith, repentance, baptism, justification, and grace and he is worried about becoming a castaway? I don’t think he was worried about losing his justification or salvation, because that comes from grace, but rather sanctification and glorification. He was worried about losing his inheritance. 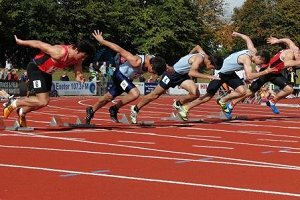 We need to back up a little now to 1 Corinthians 9:24-27 where Paul said, “24Do you not know that in a race all the runners run, but only one gets the prize? Run in such a way as to get the prize. 25Everyone who competes in the games goes into strict training. They do it to get a crown that will not last, but we do it to get a crown that will last forever. 26Therefore I do not run like someone running aimlessly; I do not fight like a boxer beating the air. 27No, I strike a blow to my body and make it my slave so that after I have preached to others, I myself will not be disqualified for the prize.” (NIV). Justification isn’t the prize, it’s a gift. I think that we get some hints about the “prize” that Paul was worried about in his letter to the Colossians: “1Since, then, you have been raised with Christ, set your hearts on things above, where Christ is, seated at the right hand of God. 2Set your minds on things above, not on earthly things. 3For you died, and your life is now hidden with Christ in God. 4When Christ, who is your life, appears, then you also will appear with him in glory. . . . 23Whatever you do, work at it with all your heart, as working for the Lord, not for human masters, 24since you know that you will receive an inheritance from the Lord as a reward. It is the Lord Christ you are serving. 25Anyone who does wrong will be repaid for their wrongs, and there is no favoritism.” (Col 3:1-4, 23-25, NIV). Justification is a free gift, well free that is as long as we have faith in Christ. Our inheritance on the other hand will be determined by what we do and how we live, by what kinds of Christians we really are. Have you ever wondered about the Judgement Seat of Christ? After if we are saved by faith alone, justified by our faith in Him, then why a judgement? Let’s go take a look at what Paul had to say one last time, “For we must all appear before the judgment seat of Christ, so that each of us may receive what is due us for the things done while in the body, whether good or bad.” (2 Cor 5:10, NIV). What we do after faith, repentance, and baptism really do matter. Our actions, the way we live our lives, matter. So dear monks and friends, let’s not lose sight of the reward and run our race so that we can say, as did Paul, “I have fought the good fight, I have finished the race, and I have remained faithful.” (2 Tim 4:7, NLT). My prayer today is that all of us may be united one day, together, in the Kingdom of God as faithful brothers and sisters in Christ. How Do You Like Your Lunch? In our politically correct society there seems to be a tendency to want to be “good”, often at the expense of being “right”. Today, someone who is “good” doesn’t say things that might hurt another’s feelings but rather uses language in ways to avoid confronting problems and thus ensure that everyone feels good. Words are the mental tools that we use to think. Our choice of words, or the word choices that society presents us with, constrain our thinking. Words are the lens that color the way we see the world. The words that we can use frame the questions that we ask and the ways that we formulate our answers. Words control our thinking. For example my youngest son became a proud graduate of 5th grade this past Spring. In his school, there were “no losers, only winners.” Students who did poorly on exams weren’t told, “Sorry, you failed the exam. I suggest you study harder next time.” “Failure” was not an allowed word choice in his school. They were told, “You were study challenged (whatever that is) and now that you know what the questions on the test are, why don’t you take it over. I’m sure you will do better the second time.” This attitude use to drive my son crazy, “Like dad, why can’t they study and do it right the first time?”. The concept of sin has almost disappeared from our society because it’s not politically correct to talk about it. The problem with that is that if we can’t talk about sin then we can’t talk about righteousness either. Without darkness there in no light, everything becomes a boring shade of grey. Remember what the Lord does with shades-of-grey (lukewarm) Christians? Try Revelation 3:16 if you don’t remember, “So then because thou art lukewarm [a shade of grey], and neither cold nor hot, I will spue thee out of my mouth.” (KJV). I don’t like lukewarm food. I want my hot food hot, and my cold food cold. I don’t want lukewarm believers, fair-weather believers, shades-of-grey believers, or pastors who won’t tell the truth because the truth hurts. While society’s version of what is right and wrong may change I don’t think that the Lord’s view of right and wrong changes with every shift of the breeze that moves society, “Jesus Christ the same yesterday, and to day, and for ever.” (Heb 13:8, KJV). I chose to be on the Lord’s side (Joshua 24:15), to think about the words that I use and the words that society tries to impose on me, so that my thinking is clear and consistent with Biblical truth, and most of all not to be lukewarm. Mark Twain, one of my favorite American humorists and authors, once said, “Faith is believing something you know ain’t true.” Another definition of faith is that it is the belief in something that is hoped for, but for which one has no firm knowledge. After all, if you know that something is true then faith is unnecessary. I have a different view of faith. Before I give my definition I want to motivate it with an example. I have faith in my wife, Heidi. We have been married for almost 18 years and have obviously (I hope) known each other for longer than that. I think that I know her pretty well and she knows me really well. We often say the same thing in unison, we finish each others’ sentences, and we trust each other. She recently spent over a month in South America, all alone by the way. I worried about her safety, but I didn’t worry that she wouldn’t be true to me. She has demonstrated over and over that I can trust her. In fact, she is so trust worthy that the idea of her not being true doesn’t enter into my mind. I have faith in her. Mark Twain, I’m not trying to believe something that I know isn’t true. I have faith because repeated experiences with Heidi have taught me that I can trust her. To me then, faith is trust that flows from repeated positive experiences. I have the same kind of faith in God. I trust Him because repeated experiences, mine, others, and historical accounts from the scriptures have demonstrated to me that He is consistent, caring, and reliable. I know that if I put my faith (trust) in Him, He won’t let me down. Have you ever gone through a team building workshop? I lead them from time to time. One of the group exercises that we do is the backwards fall. One team member crosses her arms, closes her eyes, and then falls backwards. The rest of the team is standing behind her with out-stretched arms ready to catch her as she falls. This exercise is designed to teach team members that they can trust (have faith) in each other when they fall . . . the team will lift them up. Do we have the same kind of faith in God? Are we willing to close our eyes, fold our arms, and fall backwards into the unknown, trusting that He will be there to catch us? To lift us up? Another team building exercise that I enjoy using is the mine field. One team member is left blindfolded, leaning against a wall at the far end of a large room (a gymnasium works great for this). Another team member walks to the opposite wall and waits while the rest of the team sets up obstacles, things like folding chairs, trash cans, tennis balls, etc. The obstacles literally litter the floor. Once ready, the guiding team member calls out to his blindfolded colleague and tells him to start walking. The guide has to give the blindfolded team members instructions, turn left, take three steps, turn right, stop, backup one step . . . to safely lead his “blind” colleague through the mine field. Do we have the same kind of trust (faith) in God. He can see our mine field and wants to guide us through it. For that to happen we have to (1) be listening and (2) be willing to follow His instructions. 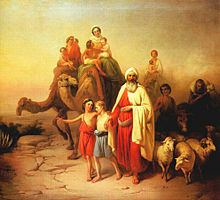 Abram had that kind of trust (faith). God said, “Abram it’s time to get out of Ur.” My response might have been, “Why? Now? Where are we going? Can this wait? I’ve got some really important stuff to do first. I’ve got to liquidate my inventory and raise some cash if we are going on a road trip.” Abram didn’t say that, he loaded his family into the van and left town, then and there. No questions asked, and he got directions along the way. You know the rest of the story. Abram continued with the same kind of rapid and complete obedience that is born out of complete trust (faith) and became Abraham, the father of nations. Monks and friends of our Monastery, I hope that all of us can develop the same kind of faith (trust) in God that Abraham had. I have a feeling, the way the world is going, that we are going to need it. St. Brendan’s Celtic Christian Monastery is a non-denominational, online monastery without wall that accepts Christians, female and male, of all religious traditions into the order. To learn more about Our Monastery please visit us. I was thinking last night and again I was surprised when it happened. It seems like I, like so many people, go through most of life on autopilot. Anyway, I was thinking about my students at the university where I teach and how they seem to constantly compartmentalize their knowledge. For example, a lot of what they learn in intermediate microeconomics is valuable in the graduate decision making course that I teach. However it seems that, in their minds, microeconomics was a different course and so that box full of knowledge doesn’t get opened up in my class; that is, unless I open the box for them. We act as if there were no connections or spillovers from one part of our life to another. We don’t realize and consequently don’t act as if one part of our life influences another. But they do. 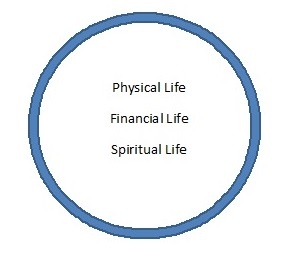 Financial resources affect what you are able to do in your physical life. Physical well-being affects how hard you can work and play and consequently your financial life. Our spiritual lives should be the foundation of our lives but for way too many Christians the spiritual life is confined to 90 minutes as a passive spectator at church once a week. 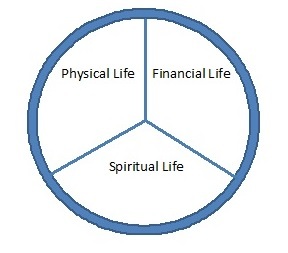 In this view of life our physical, financial and spiritual lives are all part of the whole; with the spiritual life on the bottom as the foundation. We shouldn’t be a single being experience three different lives, but rather a spiritual being experiencing all of life. Some time ago I wrote a blog post on being perfect (Me? Perfect?) based on Matthew 5:48. The admonition to be perfect isn’t just a New Testament idea. We find it all the way back in Genesis, “And when Abram was ninety years old and nine, the LORD appeared to Abram, and said unto him, I am the Almighty God; walk before me, and be thou perfect.” (Genesis 17:1, KJV). In Hebrew that command to be perfect comes from the work tamiym which means to be complete, to be whole, to be entire, to be unimpaired, to be healthful, to have integrity, and to be according to the truth. When we are complete, whole and entire we realize that we have only one life and that all of its parts are interrelated, connected and comprise the whole. We also walk in the truth and realize that our relationship with Our Creator should inform and motivate all that we are and do. And so fellow monks, friends and readers, let’s find ways to be whole and to integrate our being with God as our foundation and the Lord as our guide. Be as one of these . . . In Matthew 11:29 we read, “Take my yoke upon you, and learn of me; for I am meek and lowly in heart: and ye shall find rest unto your souls.” (KJV). I have always wondered about that verse. If we take His yoke upon us does that mean that we are to be meek as well? And if so, what does it mean to be meek? Paul, for me at least, reinforces that idea that we are to be like Christ in all that we do. He wrote, “That I may know Him . . . and the fellowship of his sufferings . . . ” (Phil 3:10, KJV). Years ago this verse lead me to my Great Question. I have had a lot of Big Questions; questions like, “Why was I born?”, and “What is the purpose of my life?”., and “What is smaller than a quark?”. However, for me that Great Question became, “Was Christ real and did He atone for my sins?” Once I was able to honestly answer that question for myself the other questions became easier and less pressing. Here are a couple of word lists for you. The first column contains a list of synonyms for the word “meek” and the second lists a few antonyms. Now I ask you, which list of words would you like your friends to use to describe you? Do you like to hang out with people from the first or second list? What word do we often place after the word, “pompous”? Is that the kind of descriptor that you would like used to describe you, or your friends? 9 But he that lacketh these things is blind, and cannot see afar off, and hath forgotten that he was purged from his old sins.” (KJV). I use this verse almost every night when I review the day and ask myself whether or not I manifested the qualities that Peter listed as I interacted with others. Most days I fall short, but this verse gives me a meter stick that I can use to measure my performance. In the last verse above Peter mentions that those who don’t have these qualities “cannot see far off”. To me this means that they are short sighted, myopic, and probably can’t see beyond the end of their noses. And so my fellow monks and friends take a few minutes this weekend and think about the kind of person that you are, and the kind of person that you would like to be. Which list of descriptors would you like someone to place upon your tombstone some day, or read as part of your eulogy? I sure don’t want someone to read, “I remember Dave, he was the most most haughty, arrogant, conceited and pompous person that ever walked the face of the earth . . .” at my funeral.